For over 5 years, Washington D.C. has offered an unpaid, but protected Family Medical Leave that provides up to 16 weeks of Family leave and 16 weeks of Medical leave every 24 months. Now, the city has passed a paid amendment to the law that will provide paid benefits for the city’s employees. The new law, the Universal Paid Leave Amendment Act of 2016 (UPLA) provides all employees access to paid leave of up to 8 weeks a year, depending on the type of leave used. Although UPLA appears to coincide with the D.C. Family Medical Leave Act (DCFMLA) there are some major differences. Compliance with DCFMLA, Federal FMLA, UPLA and other local minimum wage and sick leave laws can be tricky and administration costs. That is why SwipeClock offers a comprehensive software that makes compliance easy. The purpose of this article is to outline current provisions of the law and differences between UPLA and DCFMLA. The new Universal Paid Leave Act, or paid FMLA, provides 100% of the employee’s wages up to 1,000 a week. Employees who make more money can earn up to 150% of their wages up to 3,000 a week during a paid leave. Employees can access up to 8 weeks of paid leave. Employees who qualify for Parental leave can access 8 weeks of paid leave in a 12 month period. Family leave provides up to 4 weeks of paid leave in 12 months. Medical leave provides up to 2 weeks of paid leave in a 12 month period. This is different than DCFMLA, which provides up to 16 weeks or protected leave every 24 months. Paid leave is administered by the District of Columbia and funded by a payroll tax to private employers, employee contribution, and an undisclosed city contribution. It is estimated to add a 250 million dollar tax to city employers. Employees can take up to a maximum of 8 weeks in a 12 month period. Paid leave can be a combination of Parental, Family or Medical leave. Employees can take leave of an entire block or arrange intermittent leaves to better suit their need. The new act covers employees of all business sizes. Even sole proprietors have the option of opting into the program. In order for an employee to be eligible for paid FMLA leave, they must meet one of two requirements for some or all of the preceding 52 weeks prior to the leave. First, they must spend at least 50% of their work time in Washington D.C. they must work for a D.C. employer and spend a substantial amount of their time in D.C. but no more than 50% of their time in any other jurisdiction. This is a big difference between the UPLA and DCFMLA. DCFMLA requires a full year of service prior to the employee’s protected leave. Under UPLA, the employee could qualify for paid leave, but not for protected leave. UPLA provides no additional job protection than what FMLA or DCFMLA provides. This means that employees who qualify for paid leave but don’t qualify for either FMLA or DCFMLA would not have job protection. This applies to employees of a business with less than 20 employees as those businesses are not qualified employers under DCFMLA. Employees can take Parental Leave, Family Leave, or Medical Leave. Parental Leave allowed employees to take leave when a new child has arrived in their home due to birth, or placement from adoption or foster care. It also counts if a child is placed in the home for whom the employee assumes and discharges permanent parental responsibility. Family leave is available when a family member is diagnosed or has an occurrence of a serious health condition. Medical leave is available when the employee has a serious health condition. Serious health conditions can be both mental or physical. The definition of a serious health condition follows the definition for the D.C. family medical leave act. To bond after a child is placed in the home for whom the employee assumes and discharges permanent parental responsibility. When the employee has a diagnosis or occurrence of a serious health condition. Family members for whom an employee can take paid leave is broader than under the protected leave of DCFMLA and FMLA. While the U.S. FMLA allows for an employee to take time for a spouse, child or parent, DCFMLA also provides protected time off for a domestic partner. In addition, UPLA provides paid leave to care for a sibling, grandparent or a child of a domestic partner. However, if an employee takes protected time to care for a sibling, grandparent or a child of a domestic partner with a serious health condition, they would not be covered under DCFMLA and that time off would not be considered protected leave. UPLA adds the terms legal ward and in loco parentis to the definition of a child. This brings the paid leave more closely in alignment with the federal FMLA. Employees are required to provide a 10-day notice to employers when they plan to take a paid leave. As UPLA does not offer job protection, employees who are planning to take FMLA or DCFMLA concurrently will need to notify employers 30 days previous to taking leave according to both FMLA laws. If leave is unforeseeable, then the employee should notify their employer as soon as possible, but notice must be given before the start of their scheduled work shift for which leave is starting. In an emergency where the employee is unable to provide notice, the employer should be notified within 48 hours of the emergency that causes the leave. Second, that retaliation is prohibited from using paid leave. Third, that employees that work for small employers with less than 20 employees don’t have job protection. Fourth, that employees can file a complaint with the city. Part of the Act’s anti-retaliation clause forbids employers from threatening or reporting an employee’s suspected immigration status or citizenship because they used paid leave. Although D.C.’s paid leave plan passed city council and went into effect in April it wasn’t without uncertainty. Mayor Muriel Bowser had previously vowed to veto the act and several city council members had doubts about the funding and administrative costs to the city. Only weeks before it went into effect multiple amendments were submitted to the city council with alternative funding choices. One of the main concerns around the act is that it would become a financial burden to small businesses. Last year Washington D.C. also passed a minimum wage increase that will raise the minimum wage to $15 by 2020. Minimum wage raises to 11.50 in July and every year after. The new payroll tax takes effect in 2019. This new act means not only the increased cost of a payroll tax to small businesses, but additional administrative costs as businesses struggle to become familiar with the act’s provisions, train managers and maintain paperwork to show compliance. Some business owners fear they may have to cut jobs or decrease salaries to afford the tax, which would hurt employees long term. This may be a valid concern as Seattle’s new minimum wage has seen a decrease in overall pay for low-income workers according to a new study. Another concern around the paid leave is that ⅔ of D.C. employees don’t live in D.C. but in Maryland or Virginia. The paid leave act creates a financial obligation for D.C. businesses that benefits primarily residents living outside of D.C. Lawmakers were unable to find a solution that would keep the money from leaving the city. 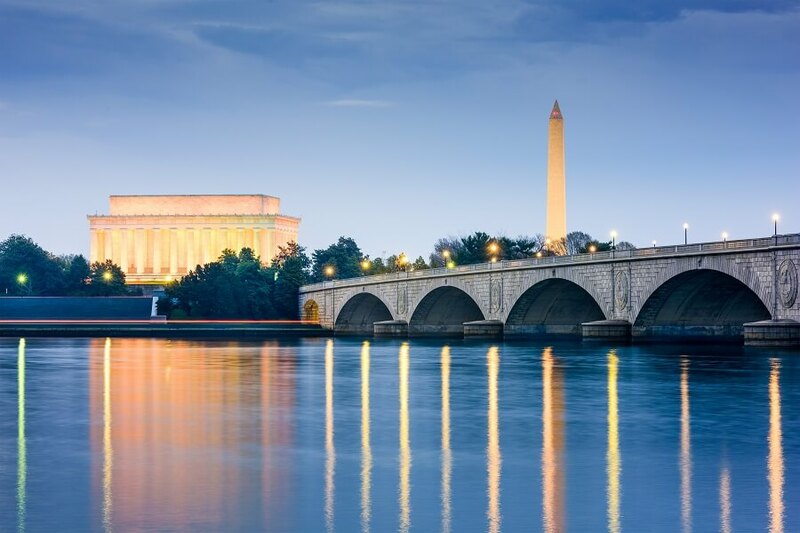 Businesses who have employees in Washington D.C., Maryland, Virginia, Rhode Island or a growing list of other states and cities may have to comply with multiple conflicting City ordinances defining Sick leave accrual and usage laws. Additionally, D.C. businesses have to also comply with local FMLA law, minimum wage laws, sick leave laws, and other federal laws including the Federal Family Medical Leave Act. Written by Annemaria Duran. Last updated on June 28, 2017.